When it comes to writing website content, blog posts, and even when creating social media content, SEO (Search Engine Optimization) is the key to being found. Having some form of keyword strategy for your website content and blog posts so that search engines know what your posts are about is very important if you want people to find you online when they look for things on search engines, whether it be using Google, Bing, Yahoo, or any other option. Using keywords is part of what’s called “on-page SEO”, a very important optimization step with which anyone writing content for a site or blog should be familiar. Do you know how to implement keywords on your website or blog? If not, read on to find out more about why it’s important, and to get some free tips on how to implement a keyword strategy on your website or blog! Using keywords as part of your Search Engine Optimization (SEO) and general blog optimization strategy will help you improve your rankings on search engines. 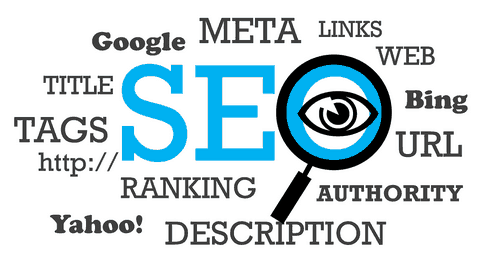 Why is it important to improve search engine rankings for my site or blog? It’s important if you want your website’s content (whether they are static pages or blog posts) to come up as part of the first few pages of search results on a search engine. This boils down to your content, how well you’re using keywords, and how relevant the keywords are to your content itself. There are also some things that can be done in the backend of a website that usually a web developer would take care of for you, but those are more technical things. Here’s a simple example that a business owner can do: if you do business locally in your area, it may be important to include local terms (city/town names, neighborhood names, etc.) near the top of some of you page content so you’ll be more likely to be found on local searches. Okay, that makes sense… so how do I implement a strategy for optimization or using keywords? Using your keywords in the META description is also important. The META description is basically a brief description of the content of your page which is used as an advertisement in search results to indicate what your content is to searchers. I also do mean brief – Google, for example, only displays 160 characters, so think of the META description as a mini-ad to entice people to click on your result and read your content. If you decide to not go with a META description, search engines will extract the relevant text anyway when showing your content in search results, but it is a good idea to have one if you want to try to guide the search results to your particular keywords. That’s a lot to remember, but I think I can start applying these keyword strategies. Do you have any suggestions on things I should avoid? Do NOT place a comma separated list of keywords in your title or META description – you want your titles to be read by humans, not search engine robots, so keep things natural and human! Do you have any additional tips or suggestions for SEO, keywords, and optimization in general? The suggestions made are not written and stone, and are often up for debate, especially when it comes to methods for improving your search engine ranking. In fact, some will say that keywords don’t even matter and you shouldn’t ever worry about them. Personally, I wouldn’t risk going with this train of thought especially in today’s day and age because your content is competing with other websites and blogs that contain similar information, so having a good optimization plan, on-page SEO, and making use of keywords is a good strategy to use at all times. Your end-goal is to show up as a result ideally on the first page when someone searches for keywords relating to your content, so I don’t see how having a keyword strategy would hamper anyone, other than taking a little extra time to implement. 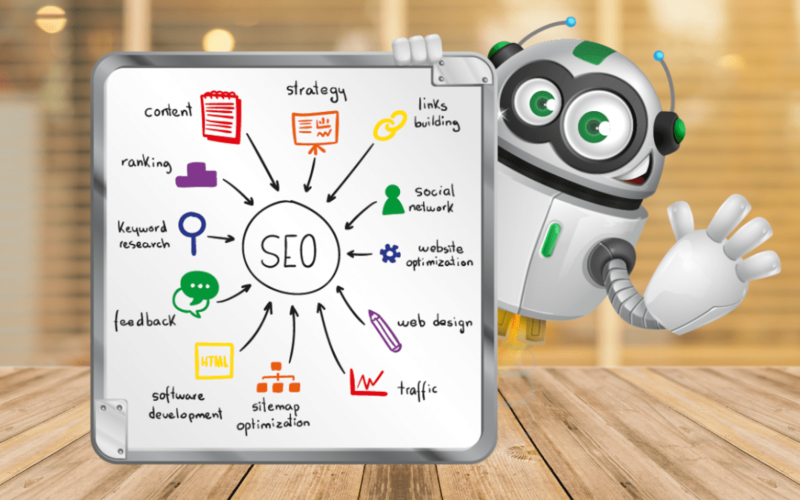 If it doesn’t harm your site or blog in any way, and has potential to help you, then why not use a SEO optimization strategy? The more searches done for a keyword, the more popular that keyword is. Enter in a keyword you think you’d like to use and search away to see the results, then tweak it from there, and implement it into your content (but don’t forget, make sure it sounds NATURAL)! “Biting my tongue hard… in coffee shop listening to a web designer going through what appears to be a discovery session with a new client. Digital marketing people chuckle (or shake their heads) at these situations in our industry, but unfortunately, this happens all the time! There are many web designers out there who only have a minimal understanding of what SEO is and make sky-high promises that sound completely ridiculous to others who know better. We’re giving you this tip so you don’t fall into this trap! If you need some help in this area, I can certainly consult with you and review your current website to see how it can be improved. 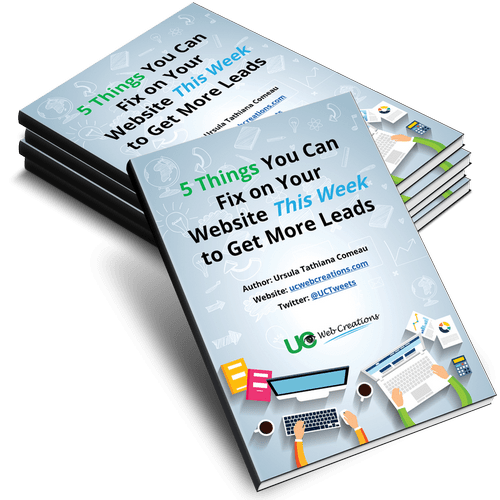 It is impossible to guarantee your website showing up on the first page of Google for searches, though, especially because they’re always making changes to how searches work, but I do have some tips and tricks up my sleeves that will help you improve your results. Check out some of the other services I offer – I will be honest (I don’t like to make unrealistic promises) and let you know what I can and can’t do! Do you have some thoughts on SEO, or things you’ve already learned that you’d like to share? It might help someone else – please leave me a comment and tell me what’s on your mind!